The son of an American doctor, raised in France between the wars, Robert never fully acquired the Episcopalian tradition of his family and was received into the Roman Catholic Church as a young man. A gifted student, a graduate of the elite French schools, he left two years into an advanced degree in physics at Harvard to return to Paris on the eve of the Second World War. The shock of the sudden military defeat and collapse of the French government directed him to the service of the transcendent and infinite God. He joined the Dominican order in 1942 and was ordained a priest in 1945. A man of two cultures, he was a natural missionary and diplomat and the Order sent him to Iraq for the propagation of the faith in that ancient society. The mid nineteen sixties found him back in France, in the Pyrenees, serving the migrants shuttling back and forth from Spain. He was very welcome in the company of the professors of the seminary in Tarragona where he came across the first reports of the startling apparition taking place high in the mountains. As much as it piqued his curiosity, the physician’s son, the reflective observer, the careful examiner was not one to be swept away by allegations of mystical rapture. He required evidence. 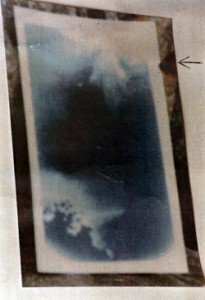 Removing himself physically from the apparitions, he began to compile thousands of pages of documents verified with great care, the transcripts of eyewitness testimony of those who had been to the village and could not deny what they had seen. Father Turner’s personal investigations lead him to the great Father Materne Laffineur, author of Star on the Mountain ,whose work uncovered the true importance of Garabandal for many. He allied with the Abbe Alfred Combe, father of the promotion in France. It is to these three men, Laffineur, Combe and Turner that the global Garabandal community owes many thanks. These priests of France faithfully collected the first impress and worked out the intellectual framework that would sustain the cause through the very long night of doubt. Father Francois Turner was the indispensable man of the Garabandal movement. A mentor to the international promotion, he moved easily between the American and European centers coordinating efforts, collaborating with other authors, and translating ideas everywhere he went. In a time of skepticism he wrote in favor of the apparitions and lectured insightfully on Garabandal around the world. When his friend, Juan Antonio del Val Gallo of holy memory, was ordained Bishop of Santander, Father Turner worked in a spirit of fraternity to lift the lingering suspicion in the chancery and closed the breach which had opened with the global promotion. He was known to the Vatican and served as an informal liaison with Rome. Since his death in 1995, no one of such stature has risen to replace him. Our Lady Teaches at Garabandal remains the only complete treatment of the apparitions by Father Turner in English, a compendium of anecdotes which he uses to illustrate the catechism of personal piety and virtue taught by the Most Blessed Virgin Mary during her five year visitation to the mountain village. He anchors these lessons soundly in sacred scripture emphasizing the continuity of the instruction of the Virgin and the acts of the visionaries with the counsel of the Old and New Testament. Father Turner agreed with the American priest Joseph Pelletier A.A. who saw the apparitions as a preemptive inoculation against the crisis advancing in the wake of the Second Vatican Council. A speculative theology which came forward in those days directly challenged areas of settled Church teaching; the centrality of the Eucharist and the doctrine of the Real Presence, the efficacy of Marian Intercession and the assistance of the Holy Angels, the spirit of mortification and of sacrifices offered in reparation for sin, traditional devotional prayer -the Rosary- as a powerful aid to growth in the spiritual life. All of this is reaffirmed at Garabandal in a most astonishing way – not as dead concepts but as the living yet invisible reality. The Fathers agreed that the crisis aimed at disrupting the priesthood, causing divisions among priests, casting doubt on the sublime dignity of their sacrificial vocation and ambiguity about their venerable place among Christians. Of vital concern to Father Turner was the sanctification of his brother priests. Our Lady at Garabandal requested the faithful fast and pray for priests, set apart by their distinction to be leaders of the Church. Our Lady told the visionaries that saintly priests save many souls as their actions are studied and imitated by many. As we begin the Year of Faith, our Holy Father encourages us to return to the letter of the Second Vatican Council. Throughout his work, Father Turner quotes frequently from Presbyterorum ordinis, a document very much in harmony with the Message of Garabandal. It remains a valuable text for priests seeking to live saintly lives and reminds the faithful, from the heart of the Church, of their sacred obligation to support the spiritual work of priests by prayer. During the course of the apparitions, when confronted by disbelief, the young visionaries turned to the Virgin for consolation. Our Lady assured them that the Great Miracle set to occur in their village at a future date would be the overwhelming proof of the supernatural origin of the events. This topic was of great interest to Father Turner and he derived a series of contingencies which he thought must precede the Miracle. First, knowledge of the Miracle must be broadcast around the world through the mass media. Having died before the advent of the Internet, Father Turner would have been pleased by the great strides made in the last decade using this open form of communication. In just the past four months visitors from over 126 countries have come to the website of the New York Center. We are excited to announce a new initiative through the content sharing website YouTube which will broadcast the 1996 documentary The Message of Garabandal on line in all twenty seven languages. Next, the hearts and minds of peoples must be purified by the Warning, which will prompt conversion and prayer. As miracles are the product of belief, a singular grace will be given to those who will see or know the Great Miracle so as to be properly disposed to more closely encounter Almighty God. The Holy Father will also experience the Miracle wherever he happens to be. We remember our friend, Father Francois Turner O.P. a holy priest, a man of great courtesy, a scholar in the best tradition of Dominican Scholasticism, and a champion of Our Lady of Mount Carmel de Garabandal. Le fils d’un médecin américain, a grandi en France entre les deux guerres, Robert n’a jamais acquis la totalité de la tradition épiscopalienne de sa famille et a été reçu dans l’Église catholique romaine comme un jeune homme. Un élève doué, diplômé des écoles d’élite français, il a laissé deux ans après un diplôme supérieur en physique à Harvard pour revenir à Paris à la veille de la Seconde Guerre mondiale. Le choc de la défaite militaire et l’effondrement soudain du gouvernement français l’a dirigé vers le service du Dieu transcendant et infini. Il a rejoint l’ordre dominicain en 1942 et a été ordonné prêtre en 1945. Un homme de deux cultures, il était naturel missionnaire et diplomate, l’Ordre a envoyé en Irak pour la propagation de la foi dans la société antique. Les dix-neuf années soixante milieu ai trouvé de retour en France, dans les Pyrénées, au service des migrants allers et retours de l’Espagne. Il a été très bien accueilli la compagnie des professeurs du séminaire de Tarragone où il est tombé sur les premiers rapports de l’apparition surprenante se déroule en haute montagne. Autant il a piqué sa curiosité, le fils du médecin, l’observateur réfléchi, l’examinateur n’était pas prudent d’être balayés par des allégations de ravissement mystique. Il fallait des preuves. Lui enlever physiquement des apparitions, il a commencé à compiler des milliers de pages de documents vérifiées avec le plus grand soin, les transcriptions des témoignages oculaires de ceux qui avaient été au village et ne pouvait pas nier ce qu’ils avaient vu. Enquêtes personnelles Père Turner le conduire au Père Laffineur grand Materne, l’auteur de Star sur la montagne, dont les travaux découvert la véritable importance de Garabandal pour beaucoup. Il s’allie avec l’abbé Combe Alfred, le père de la promotion en France. C’est à ces trois hommes, Laffineur, Combe et Turner que la communauté mondiale doit Garabandal merci beaucoup. Ces prêtres de France fidèlement recueilli la première empreinte et a travaillé sur le cadre intellectuel qui soutiendrait la cause travers la très longue nuit de doute. Père Francois Turner était l’homme indispensable du mouvement Garabandal. Un mentor à la promotion internationale, il s’installe facilement entre les centres américains et européens de coordination des efforts, en collaboration avec d’autres auteurs, et la traduction des idées partout où il allait. À une époque de scepticisme, il a écrit en faveur des apparitions et des conférences sur Garabandal perspicacité dans le monde entier. Quand son ami, Juan Antonio del Val Gallo, de sainte mémoire, a été ordonné évêque de Santander, le Père Turner a travaillé dans un esprit de fraternité pour soulever la suspicion persistante dans la chancellerie et a fermé la brèche qui s’était ouverte avec la promotion mondiale. Il était connu au Vatican et a servi d’agent de liaison informel avec Rome. Depuis sa mort en 1995, ne d’une telle envergure a augmenté pour le remplacer. Notre-Dame Enseigne à Garabandal reste le seul traitement complet des apparitions du Père Turner en anglais, un recueil d’anecdotes dont il se sert pour illustrer le catéchisme de la piété et de la vertu personnelle enseigné par la Très Sainte Vierge Marie lors de sa visite de cinq ans à la montagne village. Il ancre ces leçons à poings fermés dans la Sainte Écriture mettant l’accent sur la continuité de l’instruction de la Vierge et les actes des visionnaires avec le conseil de l’Ancien et Nouveau Testament. Père Turner accord avec le prêtre américain Joseph Pelletier AA qui a vu les apparitions en tant que inoculation préventive contre la crise qui se développait dans le sillage du Concile Vatican II. Une théologie spéculative qui s’était fait connaître en ces jours directement contesté domaines de la doctrine de l’Eglise réglé; la centralité de l’Eucharistie et de la doctrine de la présence réelle, l’efficacité de l’intercession mariale et l’assistance des Saints-Anges, l’esprit de mortification et de sacrifices offert en réparation pour le péché, la dévotion traditionnelle prière du Rosaire, comme une aide puissante à la croissance dans la vie spirituelle. Tout cela est réaffirmé à Garabandal d’une manière plus étonnante – et non comme des concepts morts, mais que la réalité vivante et invisible. Les Pères ont convenu que la crise visant à perturber le sacerdoce, ce qui provoque des divisions entre les prêtres, jetant le doute sur la sublime dignité de leur vocation sacrificielle et l’ambiguïté sur leur lieu vénérable parmi les chrétiens. D’importance vitale pour le Père Turner était la sanctification de ses frères prêtres. Notre-Dame à Garabandal demandé le jeûne fidèles et prier pour les prêtres, différenciés par leur distinction à faire entre les dirigeants de l’Église. Notre Dame a dit que les visionnaires de saints prêtres sauver beaucoup d’âmes que leurs actions sont étudiés et imités par beaucoup. Alors que nous entamons l’Année de la Foi, notre Saint-Père nous invite à revenir à la lettre du Concile Vatican II. Tout au long de son travail, le père Turner cite fréquemment de Presbyterorum ordinis, un document très en harmonie avec le Message de Garabandal. Il reste un texte précieux pour les prêtres qui cherchent à vivre une vie sainte et rappelle aux fidèles, à partir du cœur de l’Eglise, de leur obligation sacrée pour soutenir le travail spirituel des prêtres par la prière. Au cours des apparitions, lorsqu’elle est confrontée à l’incrédulité, les jeunes visionnaires se tourna vers la Vierge pour se consoler. Notre-Dame leur a assuré que le Grand Miracle réglé pour se produire dans leur village à une date future serait la preuve éclatante de l’origine surnaturelle des événements. Ce sujet a été d’un grand intérêt au Père Turner et il a tiré une série de contingences dont il pensait doit précéder le Miracle. Tout d’abord, la connaissance du Miracle doivent être diffusées dans le monde entier par le biais des médias de masse. Étant mort avant l’avènement de l’Internet, le Père Turner aurait été heureux par les grands progrès réalisés dans la dernière décennie en utilisant ce formulaire de communication ouverte. Rien que dans les derniers quatre mois, les visiteurs provenant de plus de 126 pays sont venus sur le site Web du Centre de New York. Nous sommes heureux d’annoncer une nouvelle initiative à travers le site web de partage de contenu YouTube qui diffusera le documentaire 1996 Le Message de Garabandal en ligne dans tous les vingt-sept langues. Ensuite, les cœurs et les esprits des peuples doit être purifié par le système d’alerte, qui vous demandera de conversion et la prière. Comme les miracles sont le produit de la croyance, une grâce singulière sera accordée à ceux qui vont voir ou connaître le Grand Miracle de manière à être bien disposé à rencontrer de plus près Dieu Tout-Puissant. Le Saint-Père a également l’expérience de la Miracle partout où il se trouve. Nous nous souvenons de notre ami, le Père François Turner OP un saint prêtre, un homme d’une grande courtoisie, un érudit dans la meilleure tradition de la scolastique dominicaine, et un champion de Notre-Dame du Mont Carmel de Garabandal. Les deux étoiles sur la montagne et Notre-Dame Enseigne à Garabandal, ainsi que les écrits du Père Joseph Pelletier AA sont disponibles sur notre site Web www.garabandal.us et peut être téléchargé et imprimé gratuitement. Cet article a été publié le Vendredi 16 novembre 2012 à 16:32 et est catégorisé sous I- Joey Lomangino. Vous pouvez suivre les réponses à cet article par le fil Flux des commentaires. Vous pouvez laisser un commentaire. Les trackbacks sont fermés.